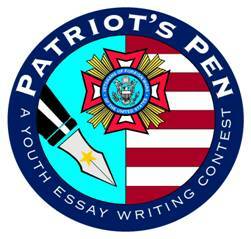 This VFW sponsored Youth Essay competition gives students an opportunity to write essays expressing their views on an annual patriotic theme. The theme this year is “The America I Believe In.” We invite you to join the more than 120,000 students who participated last year in this contest. The National winners will receive at least $500. The first place national award is currently $5,000 plus an all-expense paid trip to Washington, D.C. for the winner and a parent. This contest is open to students in grades 6-8 at Shirley School and Home Schooled students. To receive an entry, please contact Marge Wright, Chairperson at 253-0714 or 884-4988. The entry deadline is November 1, 2016.